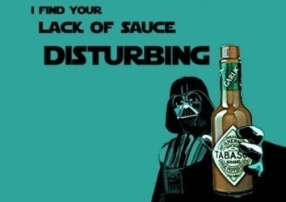 Dagobah Delight directions are easy. Heat milk and cream in a small saucepan but do not boil. In another saucepan, melt the unsalted butter. As soon as it is melted, remove the pan from the fire to keep the roux from browning. Stir in the flour. Blend well. Slowly add hot milk and cream. Stir well. Add onion, Ballassan pepper, and bay leaf. Return to a slow flame. Simmer, don�t boil, or sauce may burn. Cook 20 minutes, stirring frequently. Add sherry, sea salt and pepper. Strain. Combine with spinach and mushrooms. Ardees is a sharp, bitter alcoholic beverage made by the Ardees Beverage Company. It is nicknamed Jawa juice by many who like it. The traditional recipe is made from bantha hide and fermented grains. Queen Amidala learned that her ship�s hyperdrive had been damaged when her Royal Starship ran the Trade Federation's deadly blockade. Without repairs, the Naboo ship would never make it to Coruscant. Ahead of them, a dusty brown planet glowed against the dark curtain of space. Located in the Outer Rim of the galaxy, Tatooine was a hot desert planet ravaged by the heat of twin suns. The remote world was ruled by a race of crime lords known as the Hutts, but it was also far away from the Trade Federation�s influence � and that was good news to the Jedi and the Queen. She agreed to have her ship land there immediately for emergency repairs. After touching down, Qui-Gon arranged for a small landing party to hike into the nearby spaceport of Mos Espa. While the rest of the group stayed with the ship, Qui-Gon, Jar Jar, and R2-D2 set off. 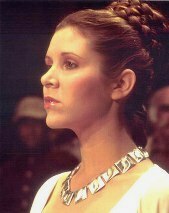 At the Queen�s insistence, one of her handmaidens � a pretty girl named Padme � went along to observe the local culture. The landing party began to look for the parts to repair the ship but a dangerous sandstorm caught them as it blew into town. The group needed shelter. They were invited to the quarters of young Anakin Skywalker, a boy who worked in one of the junk shops they visited. Shmi Skywalker was surprised to see her small home invaded by outlanders. Anakin introduced his new- found friends to his mother, then proudly took them on a tour. Anakin showed Padme the protocol droid he was building to help his mother around the house. It had to outer coverings, but it was already working very well. After discovering that Anakin Skywalker would make an exceptional recruit for the Jedi Order, Master Qui-Gon Jinn managed to obtain his freedom, and Queen Amidala's party left Tatooine with the boy. After participating in numerous adventures, including the Invasion of Naboo, the former Tatooinian slave joined the Jedi Order under Kenobi's tutelage. Outside, fierce winds whipped across the desert. Inside the Skywalker hovel, Anakin and his mother ate a simple dinner with their new friends. The conversation turned to gambling, the Hutts, and the Podraces. Anakin told Qui-Gon, �I�ve built a Pod! There�s a big race tomorrow. You could enter it!� ... and the rest is history! Upon her return to Naboo, Queen Amidala met and forged an alliance with the Gungans who lived in Naboo's oceans, and the Gungans agreed to join the fight against the Federation. Once victorious, the planet was united. During the time after the Naboo Crisis, Anakin grew through Jedi skills, discipline and training. Later, when Senator Amidala and Anakin met again on Coruscant, the Jedi Counsel sent them to Naboo, where they fell in love and were married in secret. Peel 4 firm ripe Bosc pears, and core from the bottom using a melon baller, leaving stems intact. In a 2-quart microwave-safe dish with a lid, place 2 tablespoons light-brown sugar and 1 tablespoon unsalted butter, and add pears. Cover, and microwave on high until the pears are tender enough to pierce with a knife, 10 to 12 minutes (timing will vary depending upon ripeness of pears). Pears may fall to side as they cook. Carefully uncover � steam will be released. Transfer cooked pears to four shallow serving bowls, leaving juices behind. Add � cup vanilla ice cream to the juices in the dish; stir until smooth and saucy. Dividing evenly, spoon sauce around the pears. According to Qui-Gon himself, these cookies are an energizing nibble � the perfect pick-me-up for those times when you aren�t busy battling destroyer droids or outrunning assault ships. Find this recipe and more in The Star Wars Cookbook II from Chronicle Books. In a large bowl, mix the flour, spices, salt and baking soda together. In a separate bowl, beat the butter and sugar with a mixer until light and fluffy. Add the eggs and beat until creamy. Add half the dry mixture to the butter mixture and beat until well blended. Pour in the molasses and beat until well mixed. Scrape down the sides of the mixer bowl, adding the remaining dry mixture and mix until well combined. Wrap the dough in plastic wrap and chill for at least 1 hour. Preheat oven to 350�F. Line two cookie sheets with parchment paper. On a floured surface, roll out the dough 1/4 inch thick with a rolling pin. Cut the cookies into rounds with cookie cutters. To make the door that Qui-Gon cuts through with his lightsaber, use the largest round cutters and, with a knife, cut small crescent shapes out of the center of half of the cookies. Bake for 12 to 15 minutes for softer cookies, 20 minutes for crispy ones. Remove from oven to cool. While the cookies are baking, whisk the apricot jam and powdered sugar together until smooth. After the cookies have cooled, spread 1/2 to 1 teaspoon of the apricot filling on half of the cookies, placing another cookie on top to make a sandwich. Place the cookie with the crescent on top. Makes about 30 small cookie sandwiches. Ewan McGregor comes to town. Life below the Mason-Dixon line, as in the outer rim territories, is a deep-fried tangle of misconceptions and stereotypes. But one stereotype that can�t be denied is the fine art of hospitality � like the safe haven Skywalker homes on Tatooine. This specialty is often served at Dex�s Diner. The engine of the McGregors� moving van was still warm when the pies began raining down. Apple. Blueberry. Key lime. Banana cream. Coconut cream. Even peach cobbler. Put the milk into a double boiler, drop into it a muslin bag containing the ground coffee and let it infuse for fifteen minutes, keeping the milk at the scalding point. Beat eggs and honey [or sugar] together until very smooth. Remove the bag of coffee from the milk, add the flour stirred with a little cold milk or water and cook fifteen minutes. Remove from stove and add rum extract. Pour over the egg mixture and return to the double boiler to cook until smooth and thick. When cold partly freeze, then fill graham crust and complete freezing. Serve garnished with vanilla ice cream, whipped cream, topping with Grand Marnier. 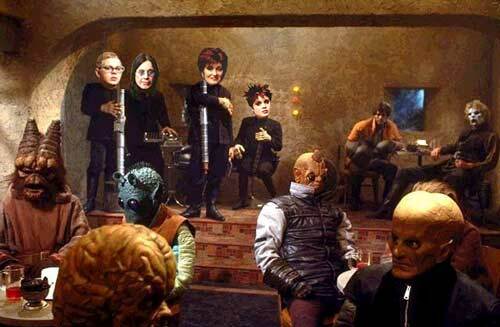 a more wretched hive of scum and villainy." Place all ingredients in a blender with crushed ice; blend. Ask your Venda be served in an ice cold glass, should there be any in the cantina. Many cantinas provided live entertainment in the form of musicians and dancers, while others used holograms. Gambling was also popular in these locales. 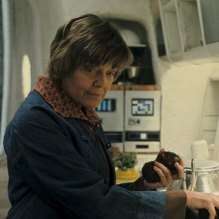 Whenever Luke Skywalker would become curious about the Jedi or show signs of his strong Force-sensitivity, his Aunt Beru was very understanding. She would admit that there was truth to stories her adoptive son had heard of swashbuckling warriors who once fought for peace among the galaxy. When it came to Obi-Wan Kenobi, Aunt Beru was outwardly much more grateful to the Jedi Master than Uncle Owen, who saw completely isolating Luke from the "old wizard" as the best means of protecting their nephew. Aunt Beru and Uncle Owen both came from generations of accomplished Tatooine moisture farmers. 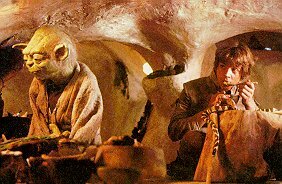 Beru was an experienced chef, and had a menu that included the roots, herbs, and mushrooms native to the harsh Tatooine wasteland. Her favourite family recipes included Beru Stew, made with ingredients grown on the farm in the homestead's hydroponics lab. Tatoes were one of a few foods able to be harvested by hydroponic stations on Tatooine. Beru Lars would often include them in her stews. Pancake Molds for Yoda, Vader, and stormtroopers. Star Wars hero and villain pancake molds in honor of the galactic star fighters of the Star Wars universe: Jedi�s Knight�s X-Wing Fighter, Darth Vader�s� Tie Fighter and Han Solo�s� Millennium Falcon �. Darth Vader rainbow Birthday Cake! - it will make you see stars! Activity: Writing yourself into your favorite fanfic. Classy yet strong, just like its namesake. The acai-flavored VeeV adds a little tang while the gin supplies the kick. In a champagne flute, add the VeeV and Sapphire, stir, then top off glass with your sparkling wine or champagne of choice. Wash and stone the apricots and stew in the lemon juice and very little water, just enough to prevent burning; add sugar to taste. Serve in individual glasses decorated with angelica. The Bespin System is composed of three worlds and an asteroid belt. The metal rich world of Miser, the glittering asteroids of Velser�s Ring, and the gas giant Bespin combine to make the system rich in natural resources. With the addition of the volcanic world of Orin, it is also one of the most brilliant and colorful systems in the galaxy. The Floating Home mining colony has long been established on Bespin....encouragement for the eventual construction of the floating metropolis known as Cloud City, now governed by Lando Calrissian and protected by the Bespin Guard. The asteroid field caused some damage to the Millennium Falcon so Han Solo decided to put into Bespin, a safe haven where repairs could be made. Han, Leia, and Chewie were invited to lunch on the upper level in, The Empire Strikes Back, led to expect the renown 5 star service of Cloud City. Bad luck! Darth Vader and his Stormtroopers arrived just before the Falcon and they didn�t drop in to play the lush gambling parlors. Interstellar Garden Salad was a type of salad served at Dex's Diner on the planet Coruscant. It was the most popular of the salads available on the menu and consisted of crisp of revwien lettuce garnished with topatoes, space carrot, qiraadishes, Mandalorian oranges, sriluurian rasins and wol cabasshews and served with luptoomian dressing. It cost 5.7 credits and for an extra 1 credit grilled gornt meat was added. Shape the ground meat into small, square patties, and broil both sides. Brush with special sauce, top with Ojomian onion slice and sauteed Felucian glasscap mushrooms. If desired, top with Jerba cheese and a dash of grated Calarantrum root. 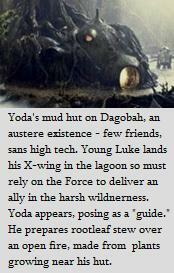 Dagobah is located in the distant Sluis sector of the Outer Rim Territories, over 50,000 light years from the Galactic Core*. The numerous failed colonization attempts of Dagobah have given it a reputation of being cursed or haunted. Its gloomy surface does little to dispel such notions. Dowsing a twisted, darkened tree near Yoda's hut, the place is a certified geopathic zone, probably effected by black streams underneath. Yoda told Luke the place "is strong with the dark side." Brown ground beef and onions. Drain well. Combine water with next 8 ingredients and add to ground beef mixture. Stir well. Stir in turnip, tomato, peas and remaining water. Bring to boil; add root leaf, reduce heat and simmer, covered for 20 to 25 minutes or until turnip is tender. Remove from heat, remove root leaves. Serve over brown rice. Sprinkle with parmesan cheese. Based on Coruscant, the Republic capital, the Jedi Temple was where the Jedi Order lived, worked and trained. The Jedi were governed by a High Council of 12 Jedi Masters who contemplated the very nature of the Force. The Vor-cal Feast was held before the day of the Vor-cal annual hunting safari.This dish was on the menu. Preheated oven to 450 F. Wash potatoes and dry them. Puncture ends with fork. Bake in a 450 F oven for 1 hour 15 minutes. Cut a slice from top of each potato. Scoop out the inside and place in a large bowl, arranging so potato shells remain intact. Combine sour cream, seasonings, hard cooked eggs, and hot milk. Add to potato filling and mix until fluffy. Spoon lightly into potato shells and serve topped with a pat of butter. Cream the margarine (butter) and sugar in a large bowl. Gradually add the sifted flour with baking powder and golden raisins. Add the eggs and mix well. Add the whiskey, fold gently. Mix carefully to a dropping consistency. Put into greased ring tin or spread into greased and lined loaf tin. Bake at 180 degrees C/ 350 degrees F for 1 hour. In a ring tin, this will bake for 30 minutes at 200 degrees C/ 400 degrees F.
Make the icing from the icing/confectioners� sugar dissolved in the orange juice. Spread this over the cake and scatter a little candied peel over the icing. 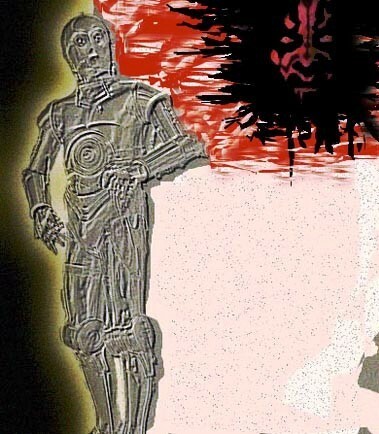 * Many millions of years ago in the distant past in the Vordarian Beltway Galaxy (called "Rutanimus" in the Civian language) and 850 trillion light years from our Milky Way Galaxy, the events of the Star Wars prequel and classic trilogies took place, but 100,000 years before this the Sith species remained hidden on their planet Korriban, the Rodar Wizards performed their magic on Perdonis and the Old Republic was not nearly as powerful in the Star Wars galaxy as it was in the days of the Star Wars movie trilogies. At the beginning of known history, the Old Republic started with only a handful of planets under its first Supreme Chancellor named Merk Quanto. The world of Coruscant was at the center with the new Galactic Senate overseeing the entire realm. The Dai Nogas, the magical warriors of the Civian home world Ophuchi, protected the new Galactic Republic. The Whills started keeping and forever recording Galactic History on Grentarik, their home planet where Jedi Master Yoda was born. Granicus, the home world of the Gran, was made home to the new Galactic Republic Supreme Court. Other core worlds of the early Galactic Republic included Alderaan, Chandrilla, Corellia, Duro, Kinyen and Malastare. Dex's Diner - Obi-Wan connection to the latest on the street: Star Wars Universe Coruscant location, and city-planet of Coruscant [Facebook fan page]. Menu note: Bith Beans were a type of bean presumably originally grown by the Bith species. They were served baked as a side dish at Dex's Diner on the planet Coruscant for 3.5 credits. Recipe for Sliders, popular at Dex's.